This week we are reading a charming sorry about being new and friendship. "Gloria Who Might Be My Best Friend" is actually a short story out of the book The Stories Julian Tells. 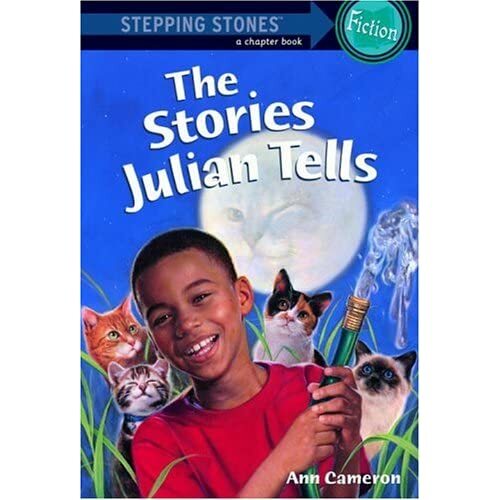 The Stories Julian Tells is a fantastic story in itself about a boy who tells fantastic tales and ends up in a bit of trouble. Our story, however, is a calmer tale about a new girl who moves into the neighborhood and how she befriends a lonely boy. This week we will also be exploring the world of realistic fiction more and starting our realistic fiction stories. We will be doing activities to help learn more about the genre, and students will be learning about how to structure and prewrite a realistic fiction story of their own. As usual, we will be having a spelling test on Friday, practicing vocabulary on Monday and grammar on Wednesday. Please help your child review and practice these skills at home this week. The weekly handout is posted below.